​Karen leads you through organic heirloom tomato growing, from seed sowing to feeding, pruning and training. She outlines a variety of ways to grow, tells the stories of some passionate growers and helps you keep problems at bay with an extensive illustrated pest and disease section. And in Feast, I have explored the enticing and diverse range of heirloom tomato flavours, describe in detail how to select, prepare, preserve and cook heirloom tomatoes, and explain how to create the perfect tomato passatta and paste. Finally, I also share more than 60 delicious tomato recipes from renowned chefs and passionate tomato lovers throughout Tasmania, Australia and beyond! 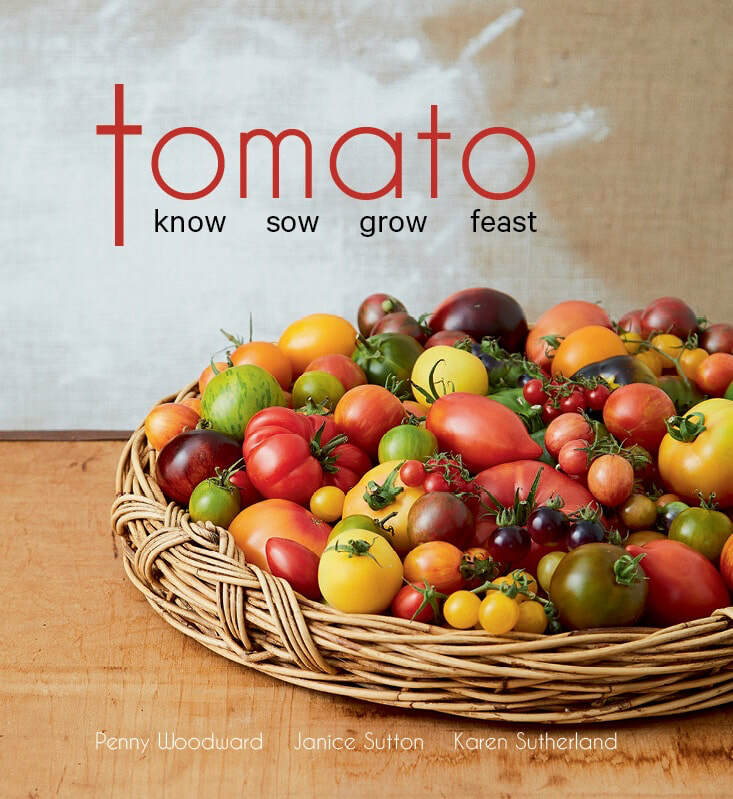 For tomato lovers, gardeners and cooks; and all those who love beautiful books!